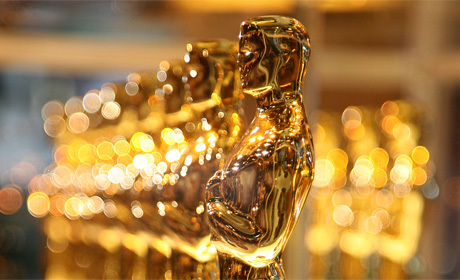 The Oscar nominations are out and everyone’s predictions are starting to roll in. Of course they want to win, but everyone always say’s “It’s just an honor to be nominated.” But every time someone gets up on stage to accept an award, 4 other people are left depressed in their seats. With that in mind, I decided to investigate those 4 other people. The Losers. An Academy Award is one of the hardest awards to win. First you have to give an amazing performance and then you have to win the Hollywood popularity contest. Extra points are usually given to the British and pretty people playing ugly. There is a long list of actors who have won an Oscar for many other reason other then their performance. Perfect example: Julia Roberts and Sandra Bullock. Julia Roberts was great in Erin Brockovich but let’s be honest. She won because she’s Julia Roberts and we love her. The Academy wanted any excuse to give her a statue. (and I completely agree with them) If you compare performances only, Ellen Burstyn (Requiem for a Dream) acted circles around our favorite pretty women. Sandra Bullock won for the Blind Side. This was laughable. It was a great heart warming movie and Sandy acted outside of her comfort zone. Maybe she deserved a nomination, not a win. Gabourey Sidibe gave the best performance that year in Precious but she was too unknown and the movie was too “independent.” Sadly Ms. Burstyn and Ms. Sidibe went home a loser come Oscar night. Those losses are understandable. Big Hollywood mega-star wins, lesser know independent movie actress looses. Sometimes the reasons for a loss is a less clear. Citizen Kane is widely considered the best movie ever made. It lost Best Picture (to How Green Was My Valley) and only received one award for Original Screenplay. That’s right, the best film ever made only won one. Annette Benning has lost Best Actress three times. To make it worse, two of those losses were to Hilary Swank. Ouch! Benning would’ve won the award in 2000 for American Beauty but Hilary Swank gave a jaw dropping performance in Boys Don’t Cry and the award justly went to her. Other Oscar surprises include The Wizard of Oz loosing Best Picture. It’s only shocking until you discover the movie that won… Gone With the Wind. Two of the most beloved movies of all time were released in the same year. Brokeback Mountain also lost Best Picture. Although this is not a case where it was bested by another iconic film. It lost to Crash. The only award Crash deserves is the most forgettable Best Picture of all time. Television has a similar history of famous snubs. But when the Emmys snub an actor is seems much more personal. Because a series comes back year after year, there are multiple times for an actor to win and loose. Therefore when someone looses year after year it, you have to start to wonder why they’re hated so much. Jason Alexander played George on Seinfeld and never won an Emmy even though all of his cast mates took the trophy home at some point. Several of his losses were to David Hyde Pierce on Frasier. Angela Lansbury never won for Murder She Wrote in the 80’s and more recently Steve Carrell finished his final season of the Office without ever winning. It’s hard to believe that any major artist hasn’t won an Grammy at some point in their career. After all, the Grammys have a billion different categories. However some legendary musicians have never won. Diana Ross, The Who, Led Zeppelin, and Queen are among the legends who are Grammy-less. Diana Ross? How is that possible? Her career spands decades and she is an icon with a legendary career. It’s amazing that she never got a Grammy, even if it was for purely token reasons. MTV’s Video Music Awards- The VMA’s can be hit or miss but it’s common sense to give the very first Video of the Year award (in 1984) to the universally accepted best video of all time: Michael Jackson’s Thriller. Wrong! Thriller lost the award to The Cars’ You Might Think. Nobel Prize for Literature- James Joyce, Anton Chekhov, and Mark Twain are all losers. Leo Tolstoy lost to Theodor Mommsen in 1904. Who the hell is Theodor Mommsen? P.S. Meryl Streep just recieved her 17th Oscar nominations . That’s more then any other actor or actress and she’s won twice. But that also means she’s lost 14 times.